Logan Downing / The Collegian Participants of the annual Zombie Pub Crawl showcase their various zombie outfits in the Tower District on Saturday. 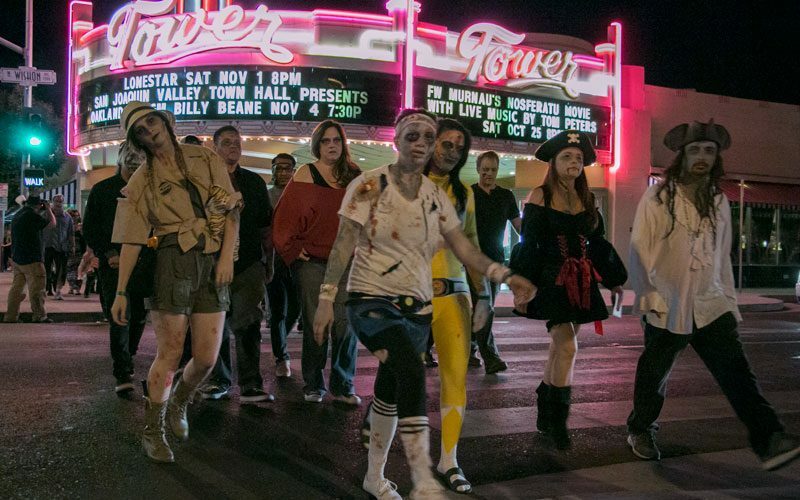 Participants of the annual Zombie Pub Crawl showcase their various zombie outfits in the Tower District on Saturday. Zombies took over Tower District Saturday night, with thousands of locals participating in the fifth annual Zombie Pub Crawl. 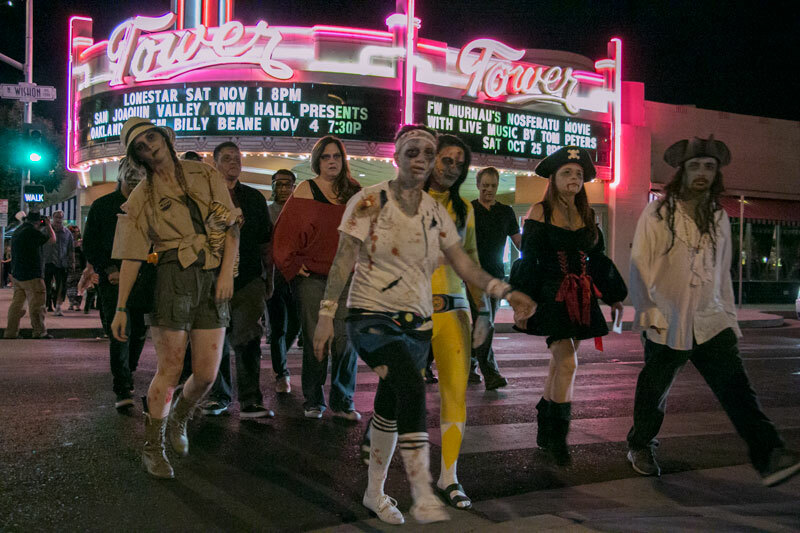 People from all over the Central Valley dressed up as either zombies or zombie hunters and hopped from bar to bar or just walked around the Tower District to scare or entertain. Patrick Quiring the founder of the Zombie Pub Crawl said the idea for the event started online. Quiring had heard about other zombie events in different parts of the world and wanted to have one in Fresno. His friends encouraged him to start the event. “This year, we’ve added a lot of things, and I just like to do something new every year and try and just keep people involved, keep people enjoying it and to grow it every year,” Quiring said. Quiring said although there is money donated to put on the event; he pays for the majority of the expenses. Local restaurants and other venues within the Tower District participated in the pub crawl as well. 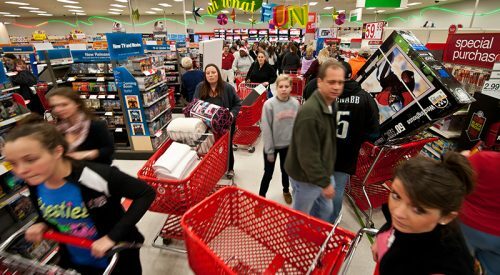 Most places allowed people to enter without having to pay a cover charge after purchasing a $5 bracelet. Score Sports Café & Lounge was one of the participating venues. Michael Reyna, a manager at Score, said the Zombie Pub Crawl is one of their busiest nights to work on, but still thought it to be a fun event. Joey Couture, a returning Zombie Pub Crawl participant, dressed as a zombie. Next year, Quiring plans on hosting the sixth annual Zombie Pub Crawl that he expects to have an even better turn out than this year’s.